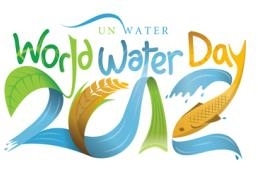 World Water Day was first designated at the 1992 United Nations Conference on Environment and Development (UNCED). Each year a new theme is selected to represent the importance, value and necessity of the world's freshwater supply. This year's theme is Water and Food Security. There is no way to ignore the growing world population, decline in natural resources, erratic weather patterns, water contamination issues and other factors that effect the water supply and related food production. The amount of water used for food production is staggering, especially when it is lost to poor irrigation methods, evaporation, food waste and other ineffective food processing activities. Along with the UN sponsored events and those hosted by a wide range of international organizations, the Aquaponics Community has posted a wide variety of World Water Day 2012 events sharing their excitement about the possibilities that aquaponics can play both in conserving water and in creating food producing opportunities in your own backyard or in areas around the world challenged with water issues. Colorado Aquaponics will be hosting a free webinar March 22nd from 7:30-9:00pm MT. It will be recorded and can be viewed at anytime in the future by emailing Tawnya@coloradoaquaponics.com. We look forward to discussing the current state of water consumption in traditional agriculture and aquaculture as well as many of the ways that aquaponics can help to reduce the demands on a depleting water supply while producing both aquatic species and vegetables, fruits and culinary herbs in a recirculating system.